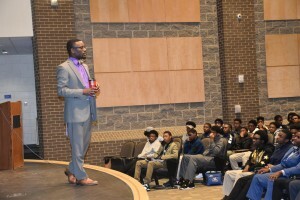 DCSD staff and community leaders teach life lessons at ‘Men in Charge’ breakfast hosted at Southwest DeKalb High School. 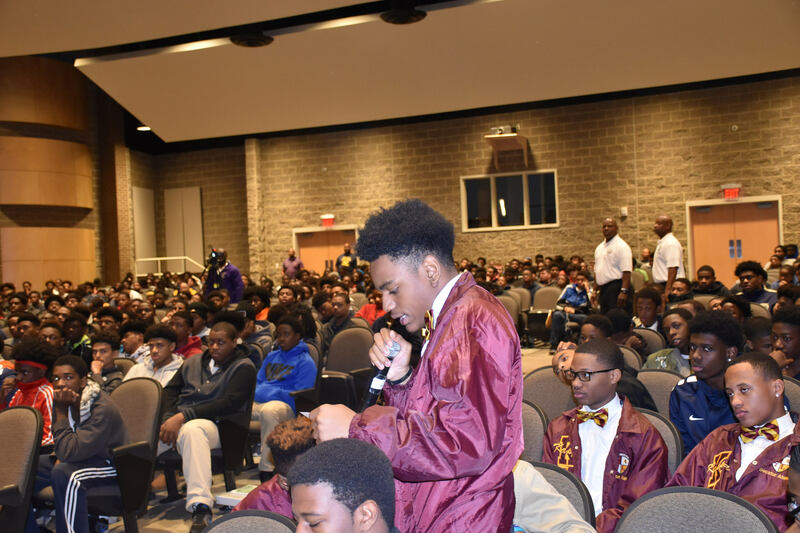 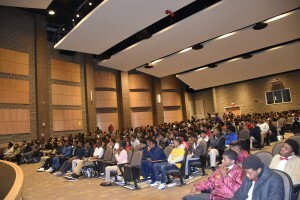 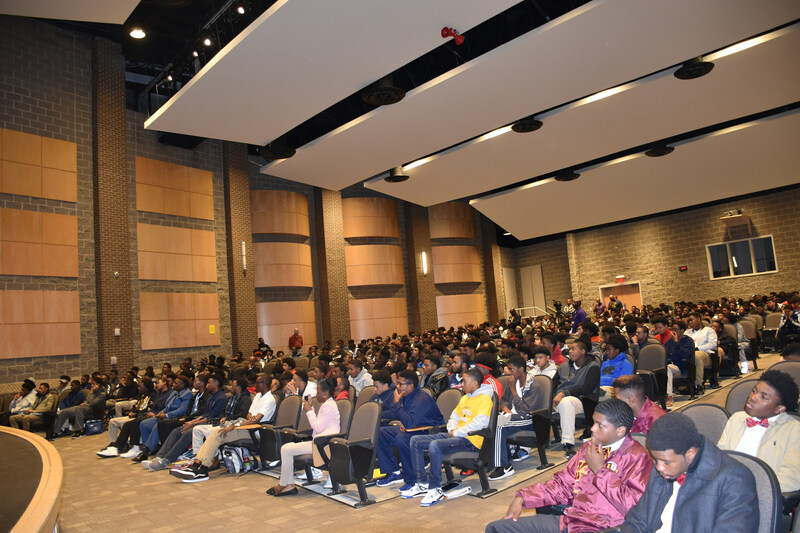 On November 16, Southwest DeKalb High School presented a very special event for the young men that attend the school, the Men in Charge Breakfast. 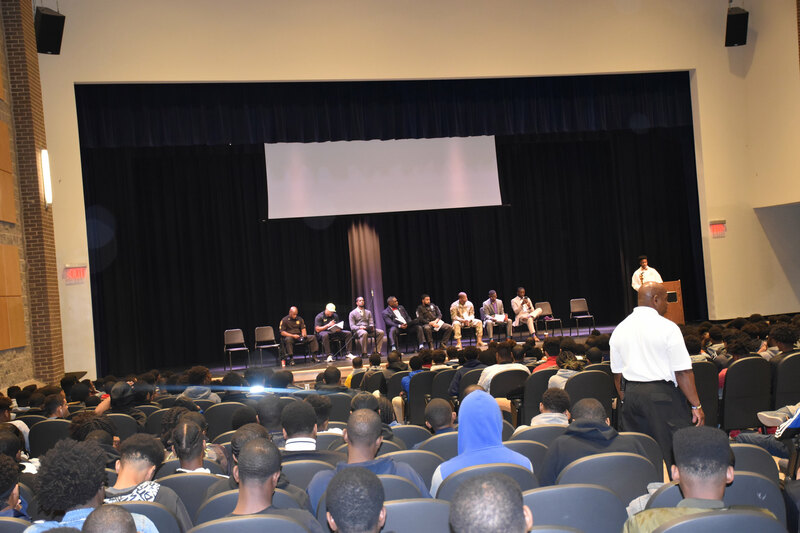 Male students, faculty, and staff all gathered for a panel discussion featuring prominent figures from the community. The men on the panel were able to give advice to the students, as well as real life lessons about the realities they faced growing up as young black men in America. The boys got the chance to ask questions of their own. 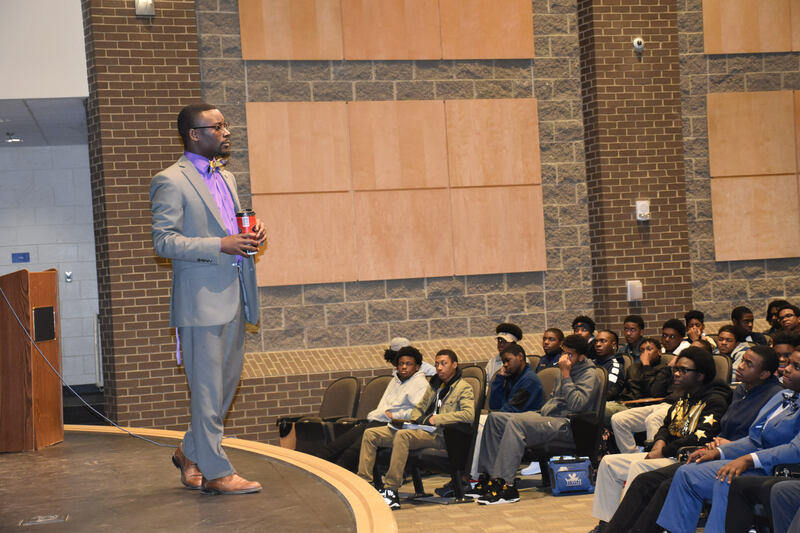 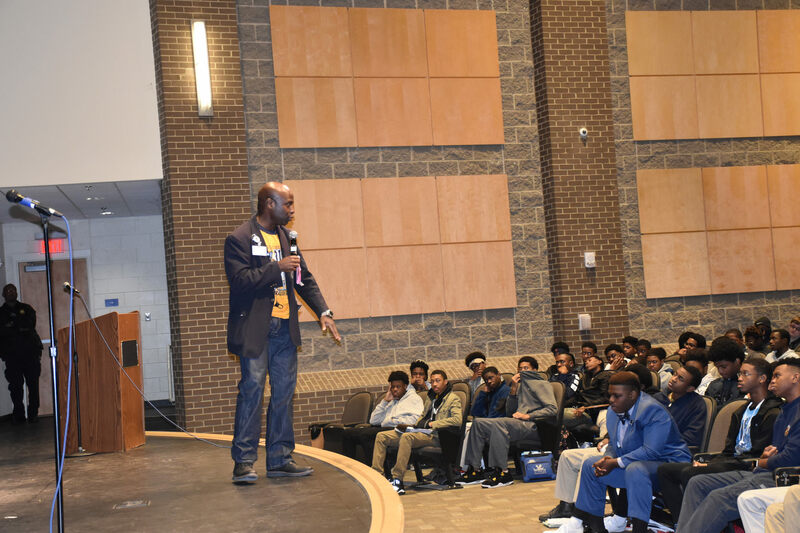 Dialogue about what it means to be a man and making good lifelong choices were shared, as well as a word from guest speaker and DCSD staff Diijon Dacosta. 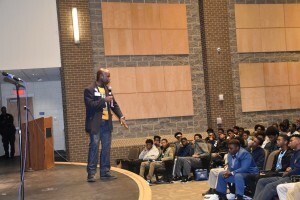 Dacosta gave a motivational speech to the all-male audience about doing what it takes to succeed even when the odds are against you.